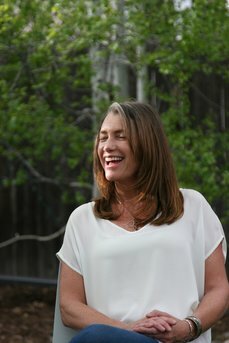 Stephanie received her MA in Transpersonal Counseling Psychology at Naropa, completed a 1000-hour massage therapy program at Fingerlakes School of Massage Therapy and a 700-hour certificate program in biodynamic craniosacral therapy at the Colorado School of Energy Studies. Stephanie specializes in a holistic approach to her work by addressing body, mind and spirit. Stephanie’s approach integrates a variety of massage techniques with a focus on slow, deep tissue work that allows the different layers of the body – fascia, muscle, fluids and joints – to be met. Stephanie also incorporates injury and pain treatment-specific work, biodynamic craniosacral therapy and verbal contact to support each client’s unique experience. Stephanie has worked with a wide range of clients as a counselor, massage therapist and teacher. As a counselor, her work has involved supporting disadvantaged single and teen mothers and children 0-6 years of age in foster or adoptive care. As a massage therapist and craniosacral practitioner, Stephanie has worked with and pre and postnatal women, individuals in need of both physical and emotional support and massage students. As a teacher, Stephanie worked in the psychosocial department at the Boulder College of Massage Therapy. Stephanie’s underlying passion is to support an individual through the transitions in life that can be challenging to navigate. The combination of mind, body and spirit supports the underlying health that every individual has, even when it doesn’t feel available to them. Stephanie is a passionate outdoor athlete who understands the desire to maintain both physical and mental health through movement and play. Stephanie’s desire is to support a client’s experience of embodied insight – not just an intellectual insight – but a felt sense of awareness. Stephanie encourages clients to come into the present moment and track sensation and energy in their body to have a felt sense of their potency, and therefore, their health. Stephanie’s work focuses on meeting clients where they are, supporting the nervous system and the multidimensional aspects of the body’s tissues. This approach allows the intrinsic health of a client, along with the client’s intention, to guide the session.